Born and raised in the Motor City, Alex Omar Smith has been releasing some of the finest techno to come out of Detroit since the demise of Drexciya in 2002. Following in the footsteps of Detroit producers like Carl Craig, Jeff Mills, Derrick May, and Theo Parrish, Omar-S started his own label and has put out all his music, save for 2009’s Fabric Mix, on his FXHE imprint. It’s a DIY label dedicated to staying underground and keeping record prices cheap. Omar’s sound is dirty, minimal, and melodic all at once, and he mixes techno, dub, disco, and house together to fantastic effect. Here is a snippet of his newest and just released “Here with Me” EP that I cannot get enough of. That is my kind of techno and Omar-S is one of my favourite electronic producers. If you haven’t heard him, check him out, and read an amazing and candid interview from Resident Advisor right here. Peace. Even better: sample the whole track and read Little White Earbuds glowing review right HERE. Awesome. This entry was posted on January 4, 2010 at 15:13 and is filed under electronica, music. You can follow any responses to this entry through the RSS 2.0 feed. You can leave a response, or trackback from your own site. ooh, i want that ep! 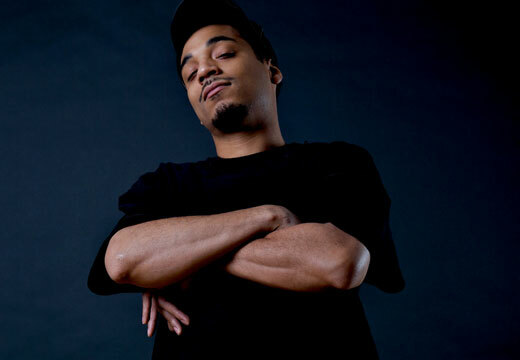 i like omar s too.